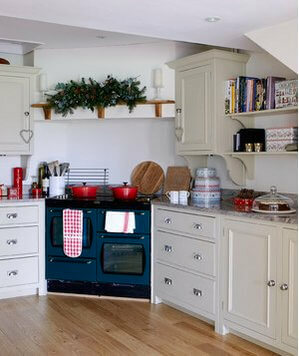 FeastHome – How good it feel when your kitchen has all that you have desired the space to have. From the layout to the decorations that you have placed for your guests. Redecorating or renovating and pulling off the old design colors is the perfect thing you would want to do. Seeing your space as you would want those whom you entertain around will see it. Transforming the look in this area is very important in the end. In addition, doing this with some of the skills and equipment you have in the home is equally important. It is good to be empowered to know the latest and maybe the new ideas around here. The things you would want to hear about your kitchen are available in many magazines. Get this knowledge but remember you have the final say and the power to the kind of a kitchen you want. Do not let someone decide for you. Keeping it simple and easy should be the ultimate guide to where you are heading. Therefore, here are some of the ideas you can brave to follow and get that classic look. You can try the outlined. Never hide the various utensils you have into the shelves or cabinets not unless you do not love them. You should place them away from young children’s reach. The utensils remain safe and always clean. You should keep the materials in different containers. You can bring sense to the height and colors. It is very exciting to decorate a kitchen that is open to another room like the living room. 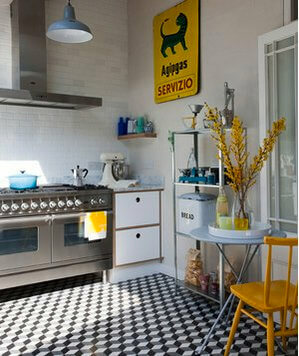 Make the room fabulous through the floor tiles. The blue color is just right for this space. If blue kills it for you, then make it your natural choice for the area in which you love most. Bring in the different shades for cabinets, stools, and accents) to keep the room from being dull. This will help create more space and a lot more can be achieved. With this achieved you can have all the equipment that you need. Am sure the working space will be enough too. If you have the island here, you will not need to move them or tuck when not in use. You will be able to host many guests too. 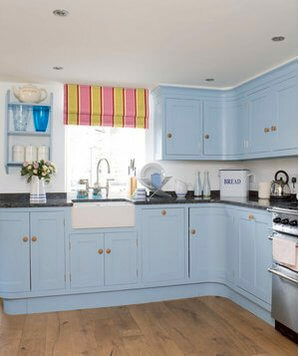 The most memorable and exciting thing about a kitchen is when it looks classy. Having that design that no one has around you gives you greater confidence. Add more charm to your room by doing some simple decors. Always consider color and choose the one you love most. Keep in mind to match appliances used and the room color. Do not use any other color or place a greater number. One or two in the kitchen is enough. 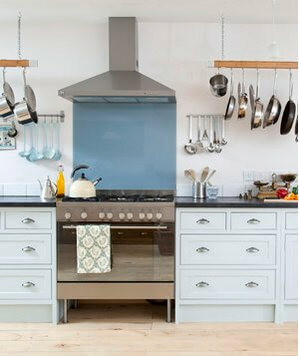 Take advantage of what you have and never forget to make use of the kitchenware to decorate the space. Have them displayed openly on the shelves. All this said, you can have latest models of the appliances when it is affordable. Do not clutter your space.